How to GPU Mine Nexus Coin – Finally a Pool Miner! 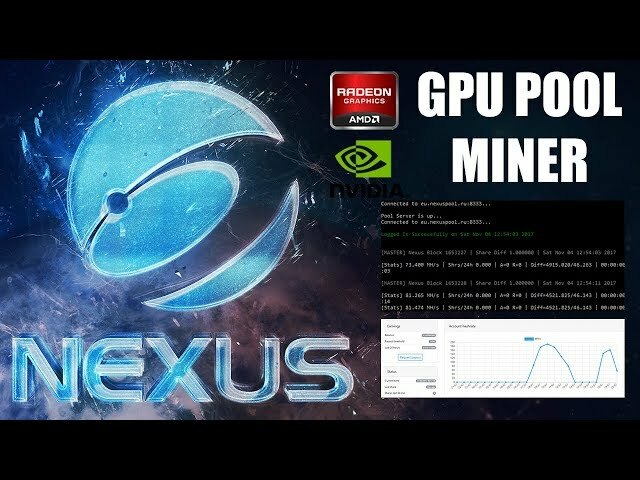 A video guide showing how to mine Nexus using your AMD or Nvida Graphics card on a Pool. In this video I show you step by step how to started mining Nexus Coin NXS using the SKMiner for AMD and Nvidia GPUs. 2 Comments on "How to GPU Mine Nexus Coin – Finally a Pool Miner!"